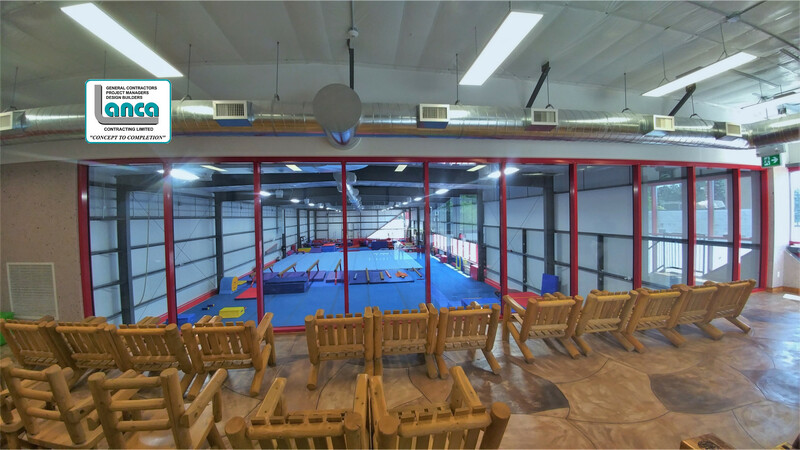 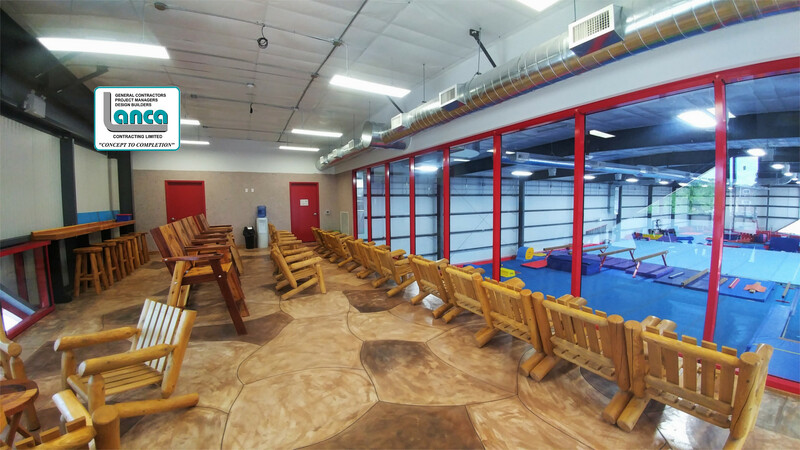 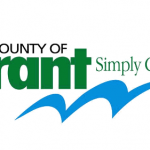 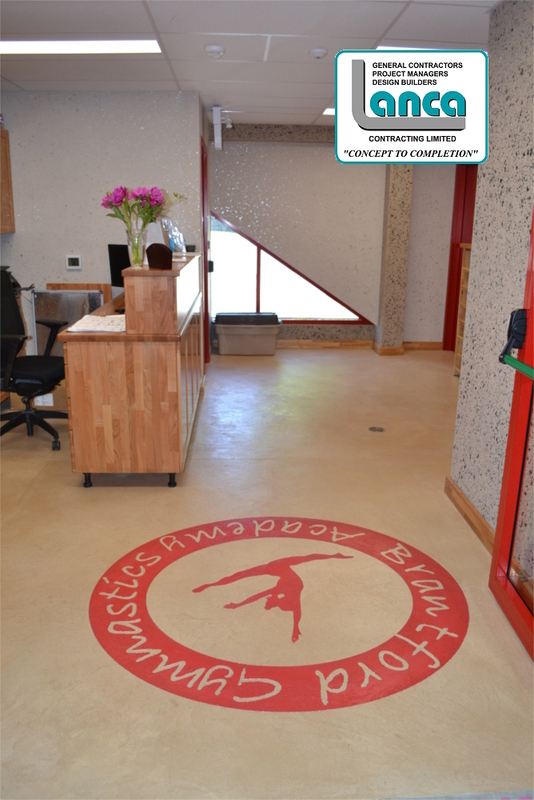 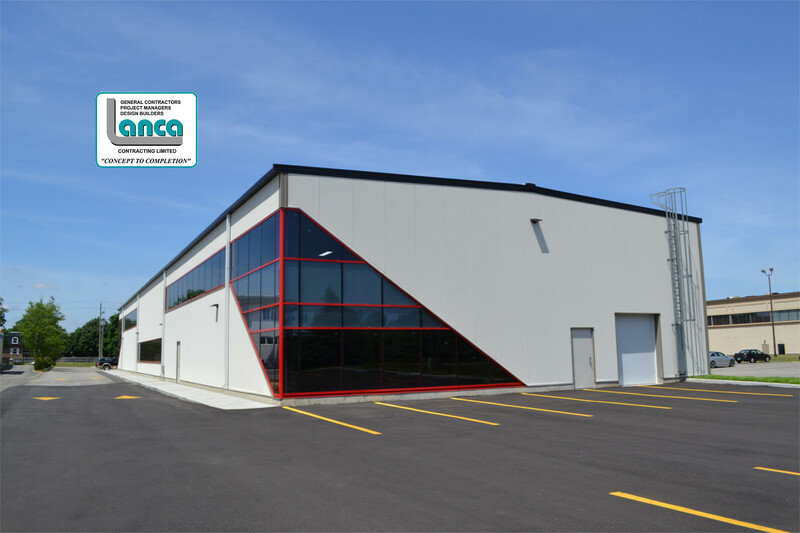 Brantford Gymnastics Academy – New Building – LANCA Contracting Ltd.
Lanca Contracting Limited had been retained by the Owners of the Brantford Gymnastics Academy to construct their new 12,000 square foot international level training facility. 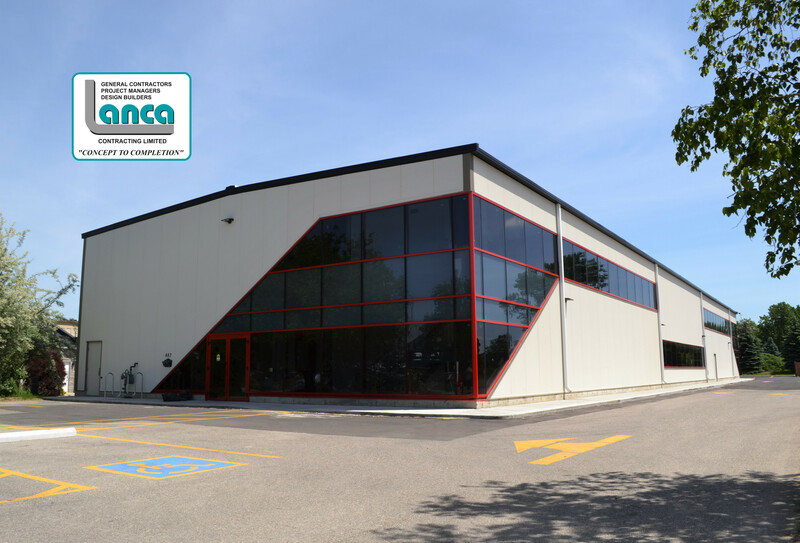 After a fire devastated their former facility beyond salvage, Lanca was able to provide guidance in obtaining a temporary location within a week. 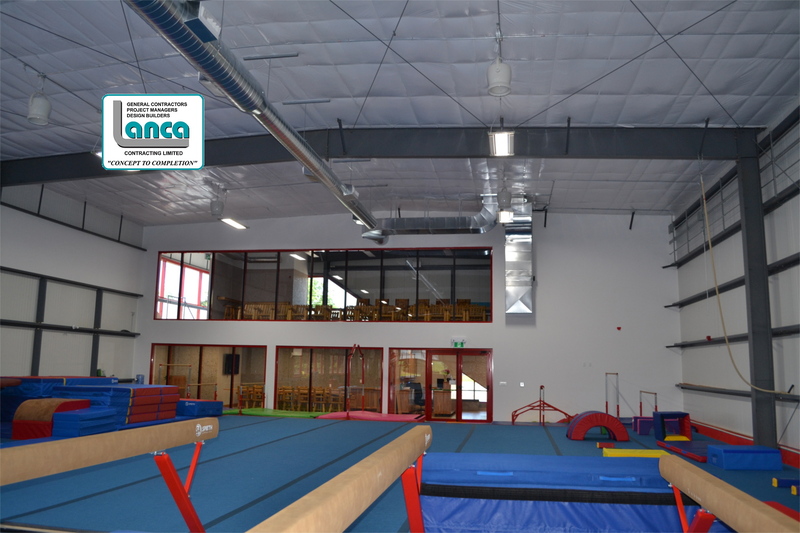 This allowed the Athletes and Owners the ability to maintain operations with minimal interruption. 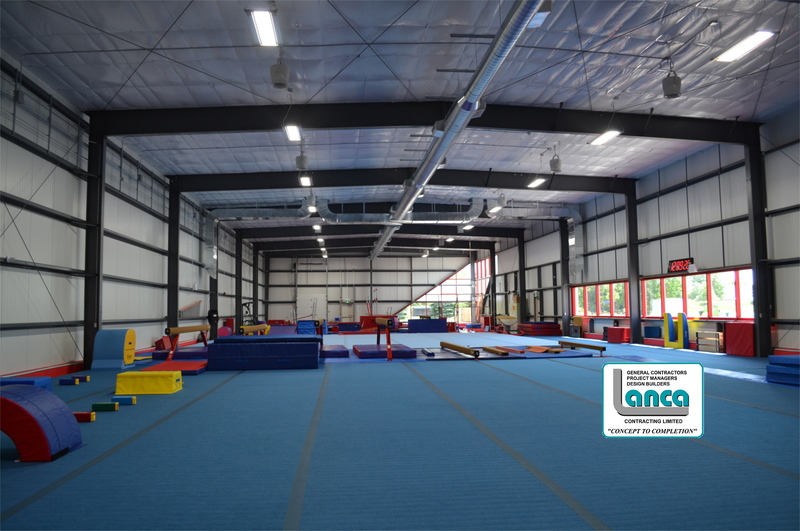 Using a signature Robertson Building System with stucco insulated metal panels and double standing seam roof, the open span of the interior structural elements allow for an amazing training atmosphere for the Coaches and Athletes. 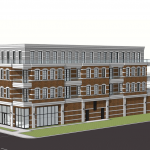 With this larger facility comes modifications and improvements in the site itself with added sidewalks and new parking arrangements. 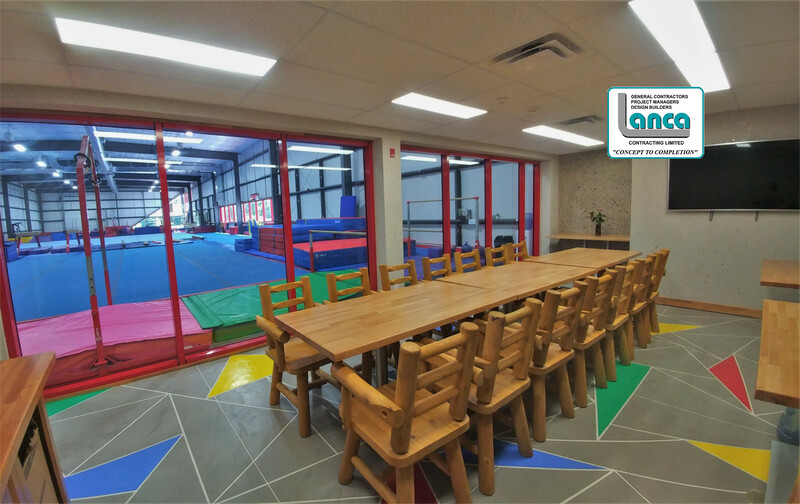 In addition to the upgraded glazed and stucco exterior, this building also hosts a second-floor hollow core mezzanine ‘Observatory’ for parents to watch their Athletes comfortably, as well as on open animated lunch/party room area. 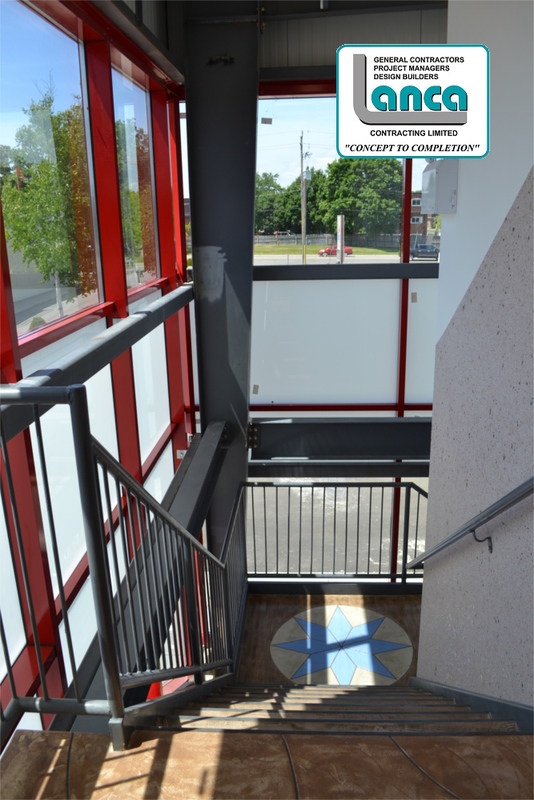 Completion in 1st quarter of 2018.